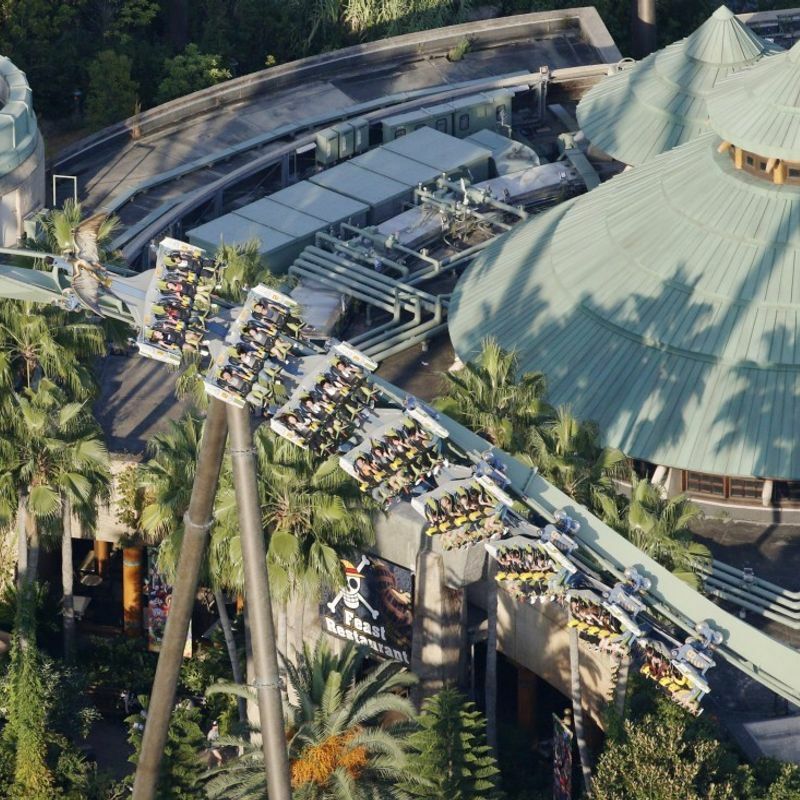 OSAKA - A popular roller coaster at Universal Studios Japan in Osaka ground to a halt Friday leaving around 30 ride-goers suspended in the air, some for up to 30 minutes, before they were safely extricated, the theme park operator said. No injuries were reported to those stranded on the Jurassic Park-inspired Flying Dinosaur roller coaster, according to the movie theme park in western Japan. At around 2:10 p.m., a system error alarm forced the roller coaster into an emergency stop with patrons close to the end of their ride. It took about half an hour to extricate all the stranded people, USJ representatives said. Operation of the "flying roller coaster," in which passengers are fastened to the carriage in a prone position, was resumed after maintenance checks. A public relations official representing USJ explained the emergency stop was the result of the triggering of safety systems. The roller coaster regularly makes emergency stops, as often as once or twice per week, as the park's policy requires the ride to halt whenever a potentially dangerous issue is detected, according to the official. The Flying Dinosaur hurtles riders through the air as if they had been snatched up by the talons of a flying reptile, according to the park's website. The total length of the ride is 1,124 meters.